TSPSC shorlty announcing the State wise ranks of SGT. SA ranks already announced by the TSPSC. Note This information provided based on the TSPSC official state wide ranks based we are not responsible for any issues. After the Ranks TSPSC will issue the 1:3 list of selected candidates to verification. Candidates have to Ready with there original study certificates. After verification TSPSC Release the final selection list of selected candidates to the specific posts. 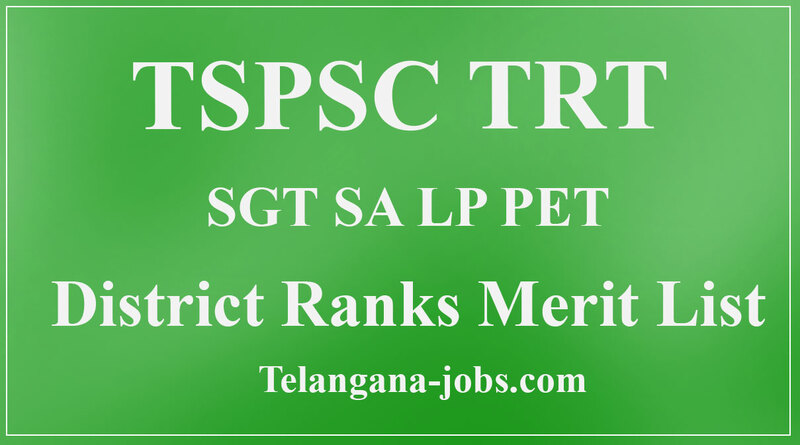 TSPSC TRT Subject wise district Ranks.